The MORE TH>N Poisonous Pawtanical Garden, created for 2015’s Chelsea Fringe, in conjunction with Charlie Dimmock, was the world’s most toxic garden to pets, part of the insurer’s campaign to raise awareness of the issue of cats and dogs being poisoned by household plants. According to research by MORE TH>N with 2,000 cat and dog owners, eight per cent of canines and felines in Britain have ingested poisonous plants or flowers. Of those, 43 per cent needed urgent veterinary care, while 15 per cent died. Far from being rare and exotic, the plants used can be found in any garden, park or horticultural centre. 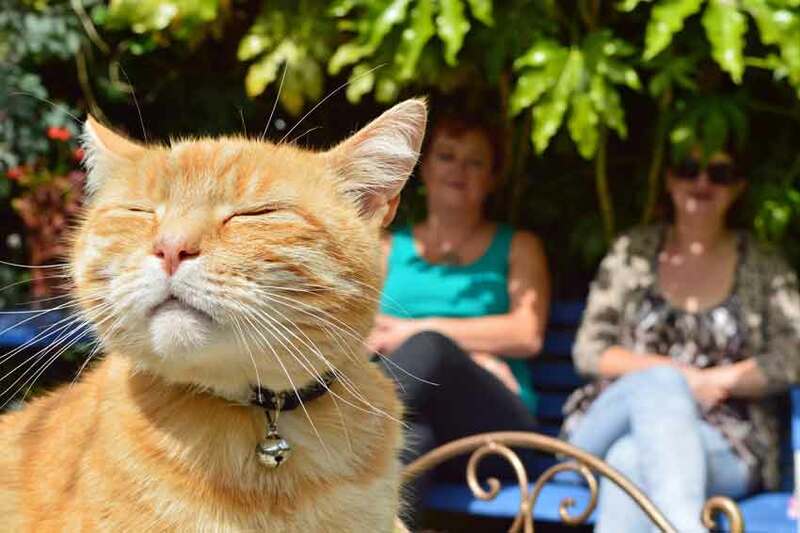 MORE TH>N is campaigning for plant producers, manufacturers of garden products and retailers to give clearer labelling signalling if their items are safe or harmful to cats and dogs. There is a widespread ignorance of the perils gardens pose to animals, with one in every three pet owners (31 per cent) polled admitting they have no idea if the plants and flowers in their gardens are toxic. The same number was unaware that plants could be poisonous to pets, while 71 per cent cannot name any symptoms of poisoning in their cat or dog. Nearly half (44 per cent) of pet owners were not only aware that their garden had poisonous plants, but were prepared to risk that their cat or dog wouldn’t eat them so they can have a pretty garden. For further information on toxic and non-toxic plants for pets, visit www.morethan.com/pet-insurance/news/most-poisonous-garden. Here’s a list of plants and flowers in The Poisonous Pawtanical Garden. PLEASE NOTE THIS LIST IS NOT EXHAUSTIVE! Asparagus fern; Begonia; Buxus pyramiden; Calla lily; cherry laurel; Clematis; Cordyline; Chrysanthemum; daisy; Dahlia; Delphinium; elderberry; Eucalyptus; fern; foxglove; geranium; grape plant; Hedera (ivy); Hosta; Hydrangea; Lilium (Asiatic lilies); Ligustrum (privet); Lobelia; Lupinus; marigold; Nerium (oleander); Papaver (poppy); Paeonia; Taxus baccata (yew); tomato; Verbena; Wisteria. ACORNS AND CONKERS: Toxic if eaten. ALGAE: Toxic freshwater algae (usually blue-green, but sometimes colourless) can poison animals. BEE AND WASP STINGS: These can be especially problematic if they sting inside the mouth. COCOA MULCH: Made of cocoa bean shell – a by-product of the chocolate industry – and can be harmful if eaten by dogs. FERTILISER, INSECTICIDES AND PESTICIDES: Fertiliser can give your cat or dog a stomach upset and may result in life-threatening gastrointestinal obstruction. Read instructions carefully and make sure you allow the correct time from use before allowing your animal in the garden. GARDEN TOOLS: Unattended garden tools can be hazardous to pets and cause trauma to paws, noses or other parts of a curious pet’s body. Contact your vet immediately if you think your pet has eaten any toxic plants, flowers, or substances. Take along samples of the plant – or preferably any identification label, tag or pot information. In reality, gardeners wouldn’t grow anything if we went by the full list – my cats (and most others) have (and have had) a healthy disregard of toxic plants – the only things George goes for are grasses and catmint. However, to be on the safe side, there is a pretty exhaustive list on the International Cat Care website, www.icatcare.org/advice/poisonous-plants.